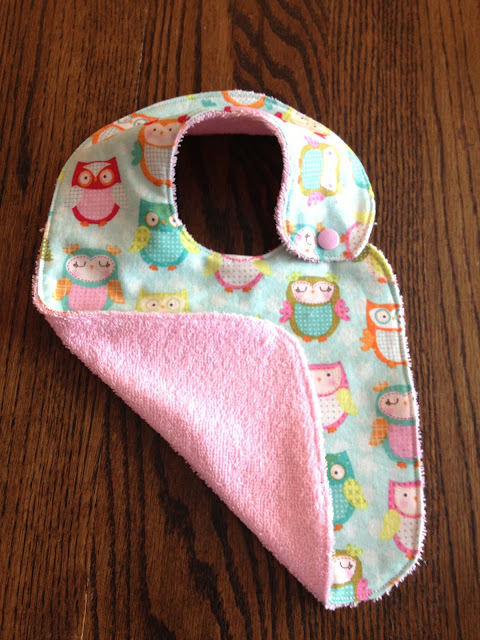 517 creations: Great bib tutorial! I apologize for the radio silence around the blog - we were in Texas all last week for a funeral and are headed back tomorrow for Scott's graduation from seminary! 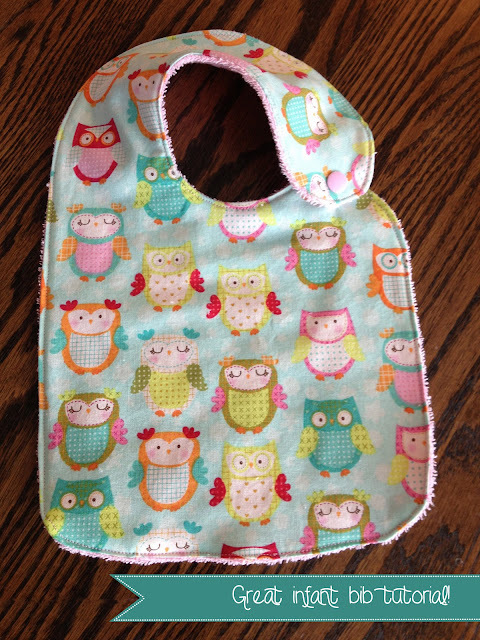 I came across this great bib tutorial from Fishsticks Designs this weekend and wanted to share it with you. This pattern is fantastic! It has patterns for bibs in three sizes, lots of pictures, and is extremely well-written. And it's ALL FREE! I used cotton for the front of my bibs and terry cloth for the back. I was looking for chenille, but both Joann's and Hobby Lobby were out of it. If you're looking for a baby gift idea, or have a baby yourself to sew for, definitely check this pattern out! where do you get pink terry fabric? i love it!